Well it's been a hot minute since I've made a post about nail school, huh? Last time, I had just finished taking my acrylic evaluations. Since then, I've had lots of opportunities to work with the medium. It's been a challenge, for sure, and only recently has that nervous feeling that comes with an acrylic appointment begun to fade. I don't mean to imply that I don't like working with acrylic; only that it can be frustrating to take on a completely new skillset. I've seen some big improvements in myself (after a bit of struggling) that are really encouraging, and I think acrylic is an amazing tool for any tech's arsenal. 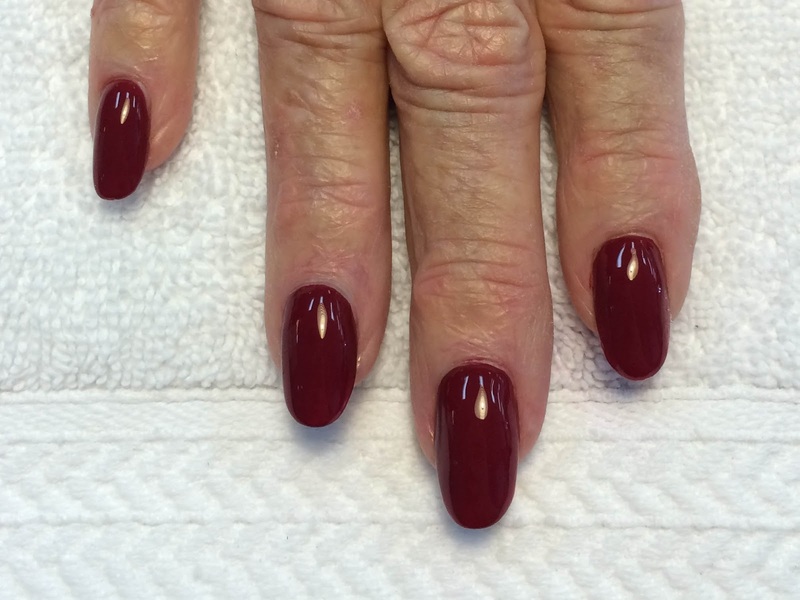 For example, just two weeks ago I had a client come in who had broken two of her nails down low. 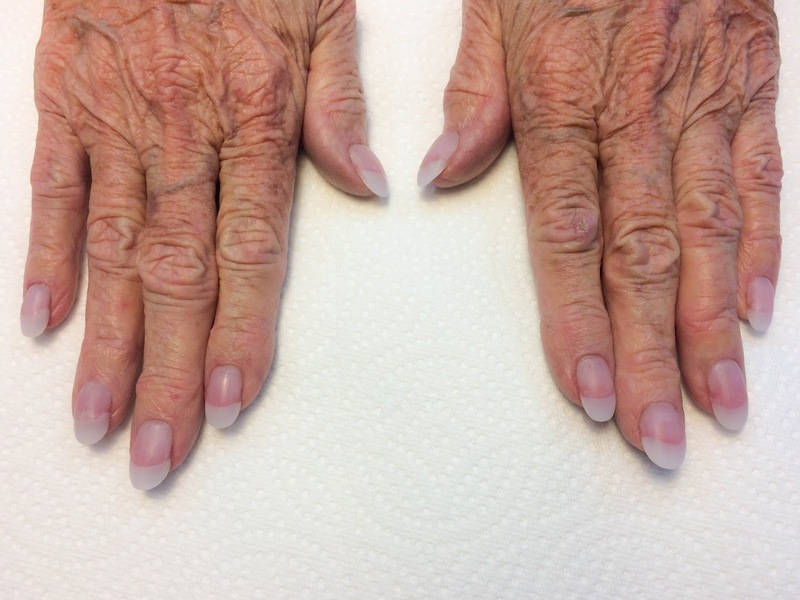 She was headed to a wedding and wanted to do a French manicure, but was concerned about the look of her two broken nails. 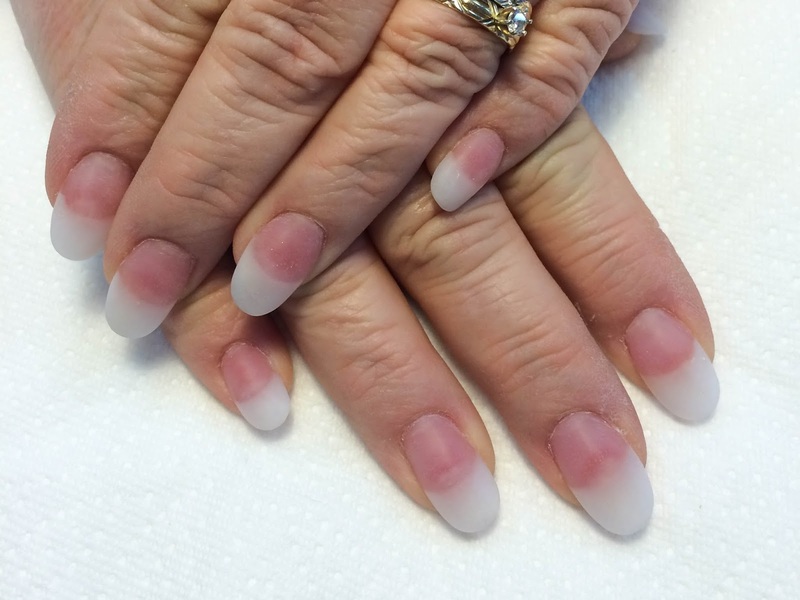 We decided to build out two sculpted nails to match the rest of her natural nails. When we finished the manicure, she looked down and said, "I can't even tell which ones are fake!" That was an awesome feeling. 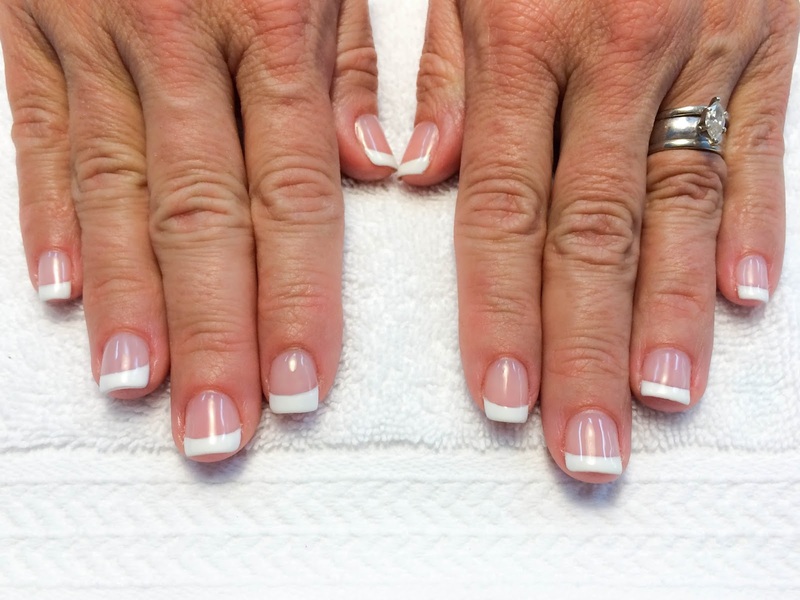 In addition to lots of acrylic full sets, fills, and fixes, I've continued to practice and improve on services that I was already more comfortable with, like gel manicures, pedicures, and one-step gel strengtheners. Not too much to report here, honestly! As I suspected in my last post, we haven't learned new services, but instead just kept practicing and working with clients. One thing that I've really noticed is a big difference in is service time. While I wasn't necessarily slow before, I've definitely become much more speedy (while still providing the same quality service). No special tricks to be learned there, just lots and lots of practice and repetition. We also had a new class of students join us at the beginning of April! It was really fun to have some new faces around school and I enjoyed getting to know them. Though I haven't taken any shots of my gel manicures or pedicures, here are some of my acrylic clients from the past few months. 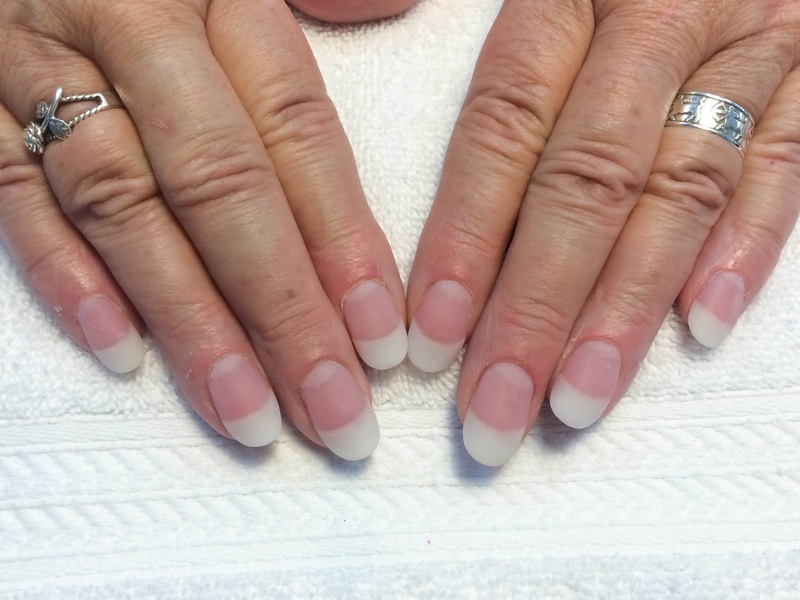 Again, these are all sculpted nails; we do not use tips in class. Though I know I've still got quite a ways to go, I'm happy with my progression. I'm done with school now, but we still have a couple of posts to go! Stick around for next time when I'll give you the details on our school board exit exams. They look absolutely beautiful. I'm so impressed with your work. 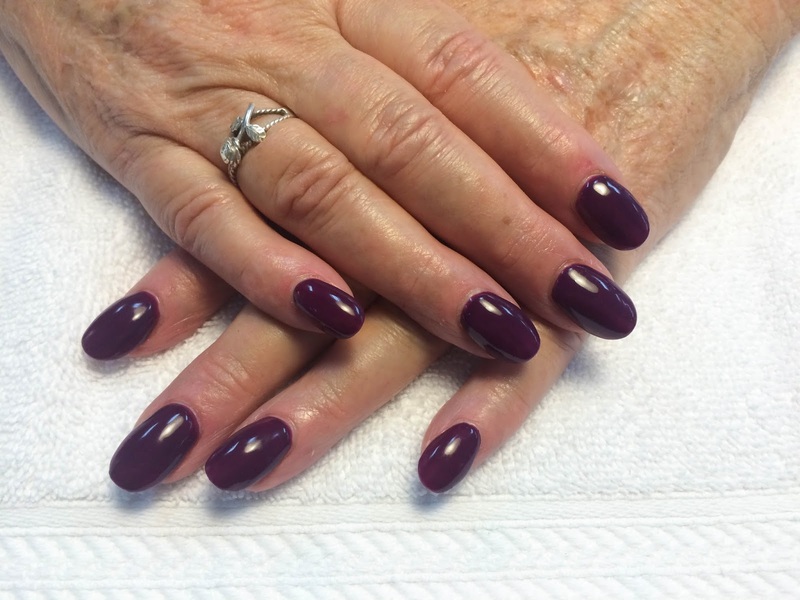 I hope your clients appreciated the obvious care and love you put into their manicures! Cute nails. Congratulations on your graduation. I think you will do beautiful work with nails. Great to see all the progress! Amazing job on the sculpted nails. I can see the work you have put into them in your before polish pics. I was so pleased with myself that I picked the hidden acrylic nails in your photo above heehee XD they are definitely well disguised! 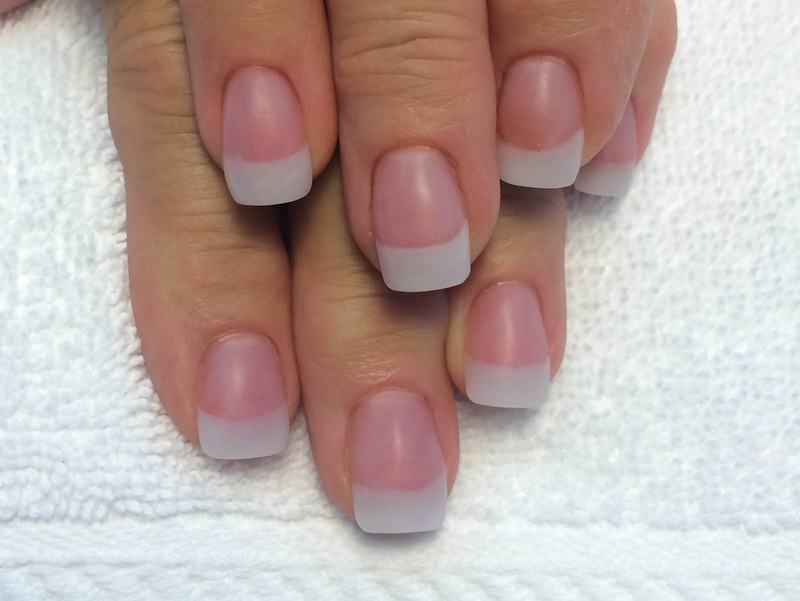 It's always very exciting to read your nail school posts. I just love them. In this post it looks like you are now a complete professional nail artist.Congratulations on your Graduation.